Did you get your letter to Hogwarts yet? We sure did and man was it magical. It was everything we thought it would be and more. To share our journey, we are going to take you with us down memory lane so you can experience a bit of the magic yourself. 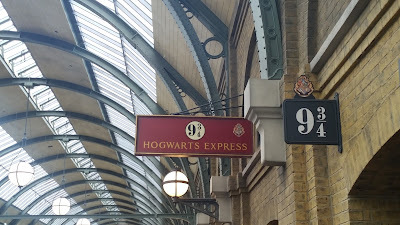 Our journey started at platform 9 3/4. 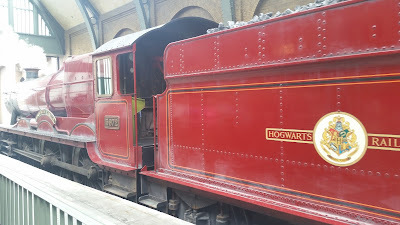 We boarded the Hogwarts Express and arrived at Hogwarts in no time. For the muggle visitors, riding on the HE is a must and remember to ride it on the way back too. It'll be a whole different experience, trust us we should know. Any-who, we were welcomed by a feast fit for the kings and queens. After eating to our hearts content we were instructed to go to our dormitories and unpack. And yes, we did get sorted into the same house (like mother like daughter), can you guess which? 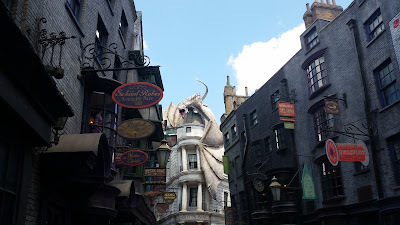 We spent the next few days exploring Hogwarts and Hogsmeade. By the way, the butterbeer's are as good as they claim. Anyways, the real story of this journey starts here. Tucked away in our suitcase was a piece of parchment that's like nothing else. It looks ordinary to most people but they don't know the secrets that lies within. Only those who knows the words and wield a wand can access its secrets. Wouldn't you know it, we know the words. However, we won't share them here because then it won't be a secret no more. Not every class at Hogwarts is as exciting as it seems. Professor Binns' class would be one of those that had a knack of putting students to sleep. So we snuck out and visited Diagon Alley instead. Sneaking out can be a tiring thing, so we stopped by The Leaky Cauldron first to grab a bite of food and some butterbeer of course. The Leaky Cauldron was packed (guess no one wanted to be in class). 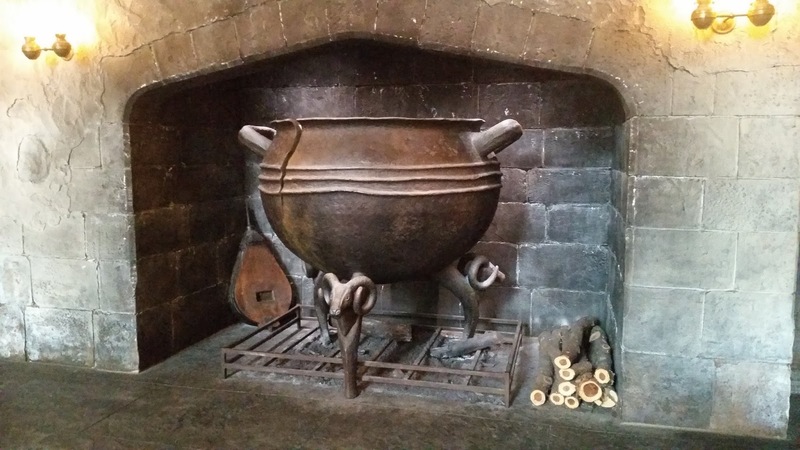 Just a note for the muggles visiting, if you get the HP vacation package it will include breakfast at the Leaky Cauldron (one per person). After a good meal, we stopped by Gringotts. You'll need money if you want to explore around here and as Hagrid once said "Ain't no safer place." Except maybe Hogwarts of course. Which reminds me, the Gringotts goblins might look stern but this one here doesn't mind having a conversation with you. You just got to ask the right questions or you might not get the answer you expect. 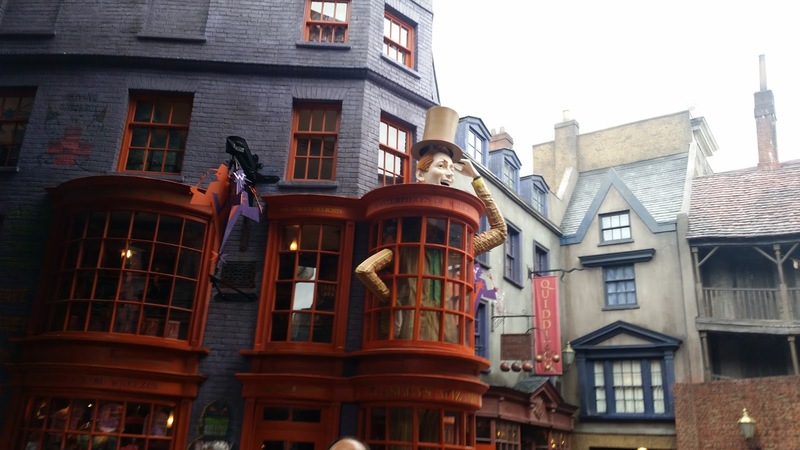 Weasleys's Wizard Wheezes is a place you don't want to miss. There are plenty of cool and interesting gadgets in there that are worth checking out. We bought a few things there ourselves. After all, you never know what you might need. Careful inside though, the place is like a giant dominoes with things everywhere. The second floor of this shop is unfortunately closed to muggles. However, you can still look up and see some of the cool stuff like the Peruvian Instant Darkness Powder. Oh and one more thing, don't forget to look up when you are in the shop. You might just find a couple of surprises! Like fireworks for example. 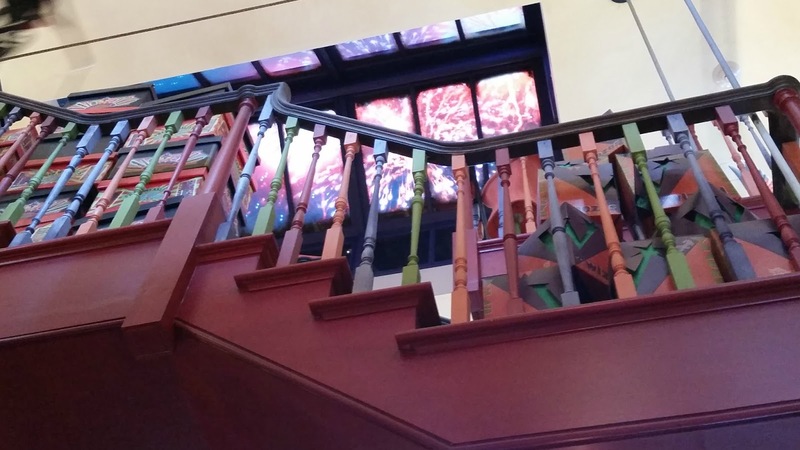 For the muggles who likes to try magic, one of the many interactive wand stations is here. 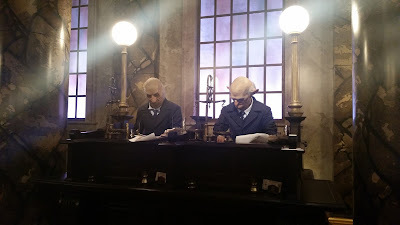 After visiting the Weasleys's Wizard Wheezes and a few other shops, we found our gold has been depleted and another visit to the bank was in order. Except one measly problem. There's A DRAGON on the bank! A fire breathing dragon at that! Maybe, it's a sign for us save our money and buy less. Man, who are we kidding, we'd buy everything there if we could. Good thing the dragon only breathes fire once in a while, so we snuck in before it noticed us. 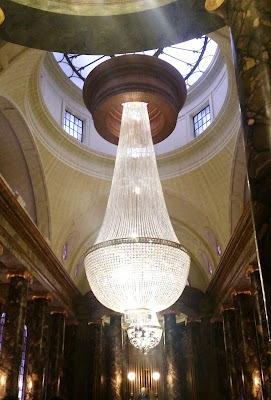 Gringotts is an amazing place and that chandelier is just breathtaking. Gringotts is the only bank in the wizarding world. So whether you like it or not, you are going to have to store your wizarding money here. It's also a place to exchange muggle money for wizarding money. Did you know that Gringotts is named after the goblin who created this bank? Yup. It was also created in 1474 but some point later, it was transferred to the Ministry of Magic for management. However, in 1865, the Ministry of Magic gave Gringotts back to the goblins and it has since been in the goblins' control. With the exception of the brief time when Voldermort controlled the Ministry of Magic and put Gringotts under its control. A bit of a history lesson there but it's nice to know the back story sometimes. Anyways, once we were in, we asked for our vault and was taken there right away. We used the undetectable extension charm on our purses to make sure we had enough room for the money. Think of it as the wizarding world's version of a debit card. 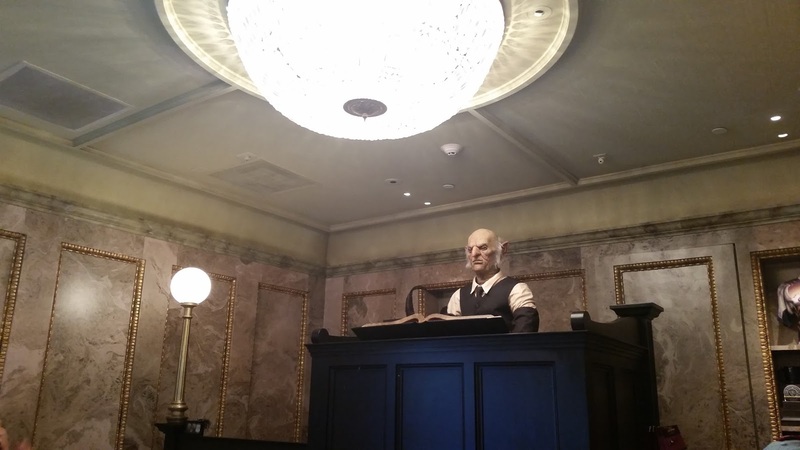 To the muggles visiting, you can tour Gringotts separately from the roller coaster adventure. Just tell the bank tellers you want to take the 'photo tour' and they'll let you in. We got out of the bank in time to see the dragon spit fire again. I think it has warmed up to us. Although it's best not to anger it. Sometime after leaving the bank, we found ourselves in a dark alley. 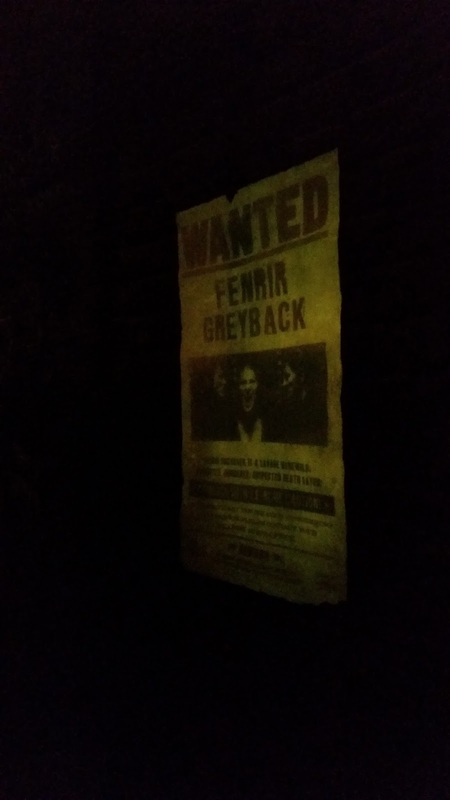 Yup, we walked into Knockturn Alley without knowing it. Good thing we didn't bump into anyone scary. Knockturn Alley, does indeed, give us the creeps. 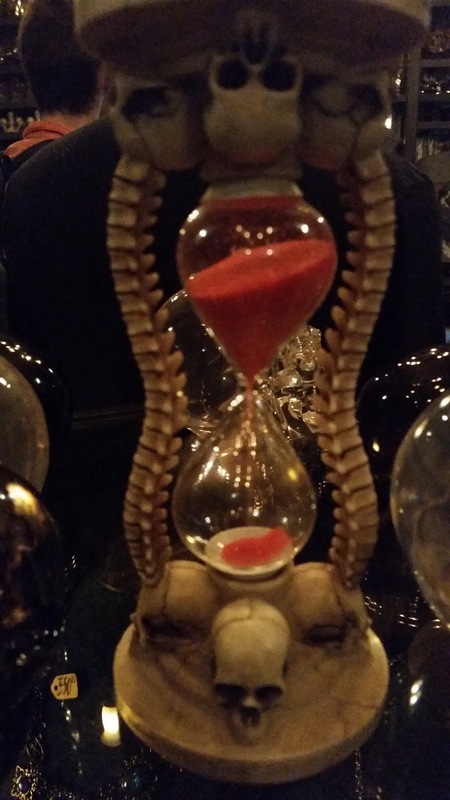 However, if you are going to visit there, make sure to stop by Borgin and Burkes. 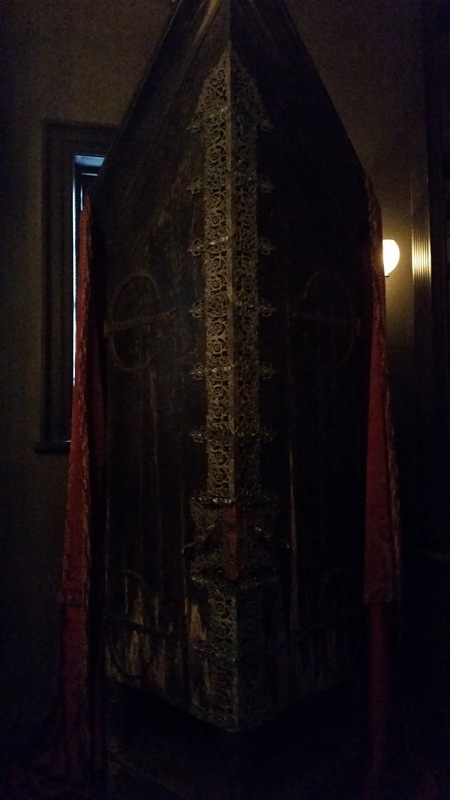 You'll see the famous Vanishing Cabinet and more. For muggles visiting in the summer time, Knockturn Alley makes for a great place to cool off. It's dark and cold in there making it a perfect escape from the heat. As long as you aren't afraid. Oh and for those trying magic out for the first time, there are also a couple of interactive wand stations in there. 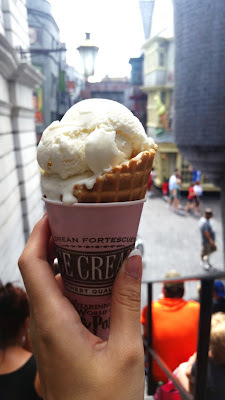 Before heading back to Hogwarts, we stopped by Florean Fortescue's Ice Cream Parlour for some ice cream. It's also the best place to make butterbeer float! Yup, that's a thing. All you need is a cup of butterbeer and one scoop of vanilla ice cream. Yum. That ends our journey to Diagon Alley. With the help of our trusty time-turner, we got back just in time for the end of Binns' class. It was definitely a fun adventure and we will definitely do it again! Hope you liked our story. 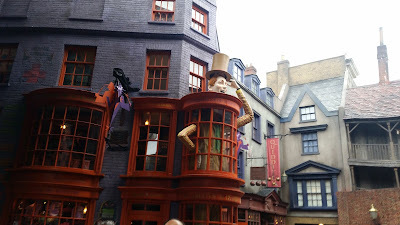 Aside from the shops mentioned above, Diagon Alley also has a couple of other shops. They are: Madam Malkin's Robes for all occasions, Magical Menagerie, Wiseacre's Wizarding Equipment, Quality Quidditch Supplies, Shutterbutton's Photography Studio, Wands by Gregorovitch, and Scribbulus. Some of these shops have interactive wand locations and some don't. But they are all worth checking out. 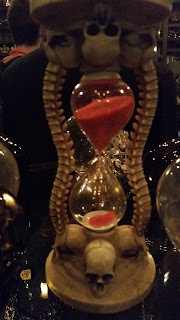 When we visited, the Eeylope Owl Emporium was empty. People used it as a resting area. If you don't mind sitting on the floor, there are also wall plugs which can be used to charge things like your phones. 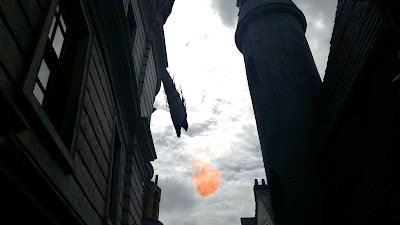 You'll also find the Daily Prophet amoung other things in Diagon Alley as well. Now here are some things we'd like to share with the muggles who wish to visit. - Depending on the time of the year, Diagon Alley will most likely be packed. So plan well and explore the rest of the parks when it becomes too full. Unless you don't mind waiting in line for the rides. Longest wait times have gone past 3 hours. There might be rain but unless there's thunder and lightening like mad, the parks will still run. There are no free rain-ponchos, so bring your own or bring an umbrella. The parks do sell Harry Potter-ized rain-ponchos and they are about $8 each. - Some people get express passes during their visit to beat the crowd. We didn't. Mainly because the express passes don't work for Harry Potter rides. Depending on the time of the year, express passes might be worth it for other rides. However, you'd still have to queue with everyone else for the Harry Potter rides. - In order to ride on the Hogsworts Express, a park to park ticket is needed. Make sure to ride the train both ways! - Are interactive wands worth it? In our opinion, yes. We got 1 to share. Finding the interactive locations were really fun and attempting to cast a spell (and then sometimes failing) is also fun. Interactive stations can become jinxed. Usually a display will be put up to let people know. 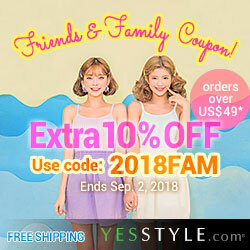 - Is the HP vacation package worth it? For us, it was. The current vacation package is a bit different than ours. Most of the things included are the same. However, instead of a welcome package gift, they now offer 1 Shutterbutton session. The package offers 3-day park to park ticket, so you can ride the Hogwarts Express and visit both parks anytime during those 3 days (during park hours). The package also offers a 4 night stay at one of their hotels. The hotels offer shuttle buses/boats for easy transportation. The package offers a couple of other things like early admissions and breakfast. It was worth it for us because 3 days was enough time to ride all the rides we want to ride in both Universal parks. It gave us plenty of time to re-do some of our favorites, to the point that we know exactly where the photo cameras are. If you have any questions, feel free to ask in the comments and we'll try our best to answer them. In the main time, you can check out the Wizarding World of Harry Potter via their virtual tour.